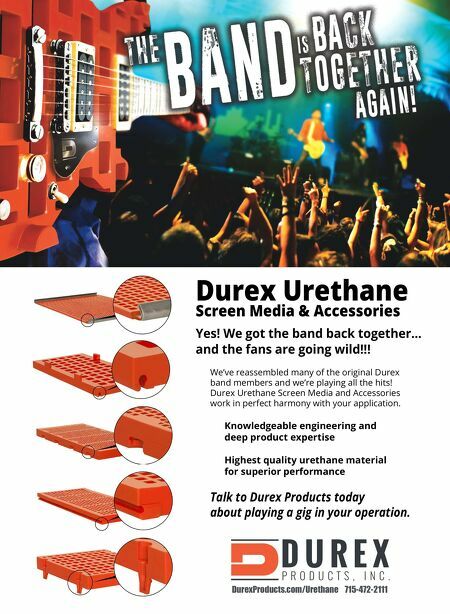 Durex Urethane Screen Media & Accessories Yes! We got the band back together... and the fans are going wild!!! DurexProducts.com/Urethane 715-472-2111 We've reassembled many of the original Durex band members and we're playing all the hits! Durex Urethane Screen Media and Accessories work in perfect harmony with your application. Knowledgeable engineering and deep product expertise Highest quality urethane material for superior performance Talk to Durex Products today about playing a gig in your operation.